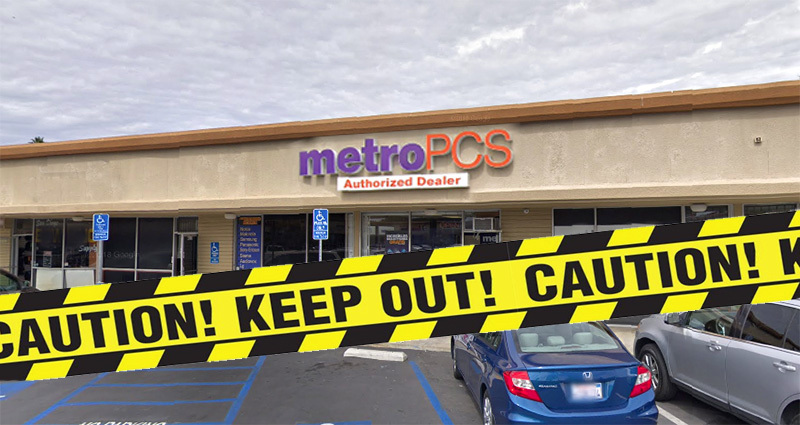 SAN DIEGO, CA – A Metro PCS store on University Avenue in San Diego was robbed at gunpoint Wednesday evening by a man who remains at large, authorities said. The suspect entered the business at 3549 University shortly before 5:30 p.m. walked to the counter, allegedly pointed a gun at an employee and demanded money, the San Diego Police Department said. “The employee opened the register and gave the suspect and unknown amount of money,” the agency said, adding that the male then left the store heading southbound on Wilson Avenue. The suspect was described as black, 20 to 30 years old, 200 pounds with curly hair, and wearing a gray hat, dark sweater, and blue jeans, police said. Details on the store’s loss were not immediately available.